Are you passionate about working in the automotive sector? Would you like to meet international experts to increase your knowledge and benefit your industry in Australia? 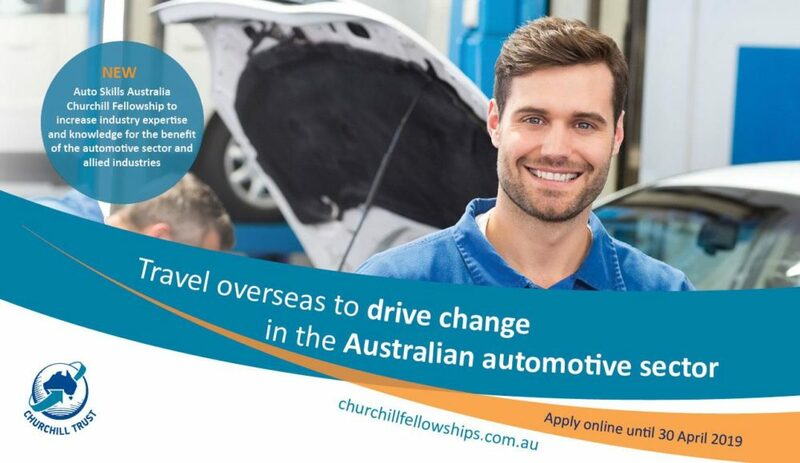 Then the Autoskills Australia Churchill Fellowship might be just for you. The Fellowship sends participants overseas for 4-8 weeks to investigate inspiring automotive practices and meet sector leaders. The knowledge and experience gained from around the world can be used in your workplace and to make a difference in the automotive sector in Australia. Applications close 30 April 2019. Click here to find out more or apply here.